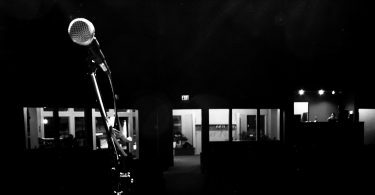 As a singer, I enjoy taking part in karaoke events in my community, but I have had plenty of experience with bad microphones or karaoke systems that were just not up to my standards. Because of this, I decided to get my own karaoke system that I could take with me. I can simply tell the owners at the local karaoke bars that I plan to use my own equipment, and if I decide to randomly sing at an event, having a great karaoke machine allows me to have a microphone that I can rely on. I did a lot of research trying to find the best trouble-free karaoke system, and after a lot of consideration, I decided to go with the Singtrix Party Bundle Premium Edition Home Karaoke System. Of course, I don’t expect you to just consider my word to be the ultimate word on karaoke systems, but I do sing in a band, so I know a thing or two about vocals. In addition, I spoke to several other vocalists that I know to get their take on which karaoke system is the best, and overall, they had the same opinion as me. A professional karaoke system is going to offer much more than a home system, and allow you to show your talent. However, my top pick may not appeal to you if you plan to sing karaoke at home, so I have included reviews for both professional and home use in my guide. Before we get to the reviews, let’s take a moment to explore the different types of karaoke machines and the features that make them ideal for purchase. Before you decide that you are ready to purchase a karaoke machine, you will need to consider which type is going to work best for your needs. Let’s take a look at some of the options that will be available for your consideration. All-in-One System – This is a type of karaoke machine that includes everything that you need to perform. It will come with a microphone or two, music that you can play, and a screen to read the lyrics. In general, this is going to be the most portable type of karaoke machine, so it may be best if you like to sing at different locations, but you may find that the screen is small, which could make reading the lyrics more difficult. If you are new to karaoke, this type of system is going to most likely not come with a large collection of songs that you can sing on the system. This may not be important for a seasoned karaoke singer, but a novice needs to start their library somewhere. TV System – This is the ideal option to consider if you are going to be singing with a crowd. The system is designed to connect directly to a television, which means the lyrics will be easy for you to see as you sing. In addition, more people will be able to see the lyrics, which allows them to sing along. This is a great feature for a party setting, but the sound will also come from your television, so it may not be the best for really large crowds. If you have a home theater system or a speaker system that you can connect to, then this is going to be a great option to consider. Typically, these systems come with pre-loaded songs that you can sing, but you will also be able to purchase more to help complete your collection. This is also a very portable option, as long as there is a television that is large enough to use at the location that you want to sing karaoke. MP3 System – This is a system that uses an MP3 player instead of a CD to play the music that you want to sing, so you will have access to many of the latest songs. Depending on the system, you may need to connect to a television, but your library of songs will be virtually unlimited. This type of system could also have Bluetooth connectivity that would allow you to read the lyrics off of an iPad or another tablet. How Does a Karaoke System Work? When you sing karaoke, you are not singing to traditional albums that you listen to every day. The songs that you play on your karaoke system are going to be missing lyrics so that you can sing the song without the artist making you look bad. Traditionally, most of the karaoke systems that you would have used in the past would function using CDs, more specifically CD+G discs. This is the type of CD that allows you to store graphics to be played with the music. In this case, the graphics are simply the lyrics that you are going to be singing for each song. Having a huge library of CDs can be limiting, so today, there are more convenient ways to store your karaoke library. Since most songs are in MP3 format now, you can easily get songs and store them on your USB. Many of the karaoke systems on the market are going to have a USB slot where you can simply put your USB into the karaoke unit and access the songs that you want to play. If you have a Smart TV, you can also access YouTube through the YouTube app, and play the music through the television. All you will need to do is connect the microphone to the television so that your voice can be heard as well. This is a great option to consider for karaoke in your home. When you are searching for your dream karaoke system, you are going to want to look for a few things to ensure that the system is what you need. Not all of these features will be important to you, but many of them will improve the way that your new karaoke machine performs. A Durable Exterior – Are you planning on using your new karaoke system at home, or do you plan to take it to different locations to sing karaoke around town? If you are going to be moving it a lot, you may want to ensure that it has a sturdy construction so that it does not break the first time you take it somewhere. You also need to remember that other people may be using your karaoke system, so you need something that will hold up to a little abuse. Up-to-Date Audio Formats – As I already stated, some karaoke systems use CDs, but this is an audio format that is not used very much anymore, so it may be important for you to get a karaoke machine that uses current audio files like MP3s or MP4s. This will allow you to collect a larger library of songs. Good Audio Quality – Nobody wants to hear you sing karaoke when the audio is faded, distorted, or simply not clear. You want the audio to sound great so that your voice can be heard, and this is where a professional karaoke system will really make a difference. You can also connect your system to a good set of speakers that will be able to be heard across a larger area. If you decide to go this route, make sure that you choose an amplifier that will do your vocals justice. Connectivity – A lot of karaoke machines offer limited options when it comes to connectivity, which basically means that you will need to have your library of songs ready to go before you arrive at your karaoke destination. Some devices are compatible with Bluetooth as well, so don’t limit yourself to Wi-Fi. This will allow you to download music to your Smartphone or tablet, which can be very useful if they are compatible with the system. Dual Microphones – Do you like to sing duets with your friends? If so, you are going to need a karaoke system that has more than one microphone input. 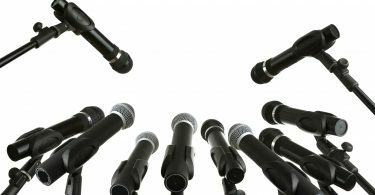 You may be able to share with one other person, but if you want a few backup singers, you will need at least two microphones. Good Speakers – Some karaoke systems come complete with a speaker that you can use during your sessions. If you already have a home theater set with amazing speakers, you may not need to concern yourself with the quality of the speaker on the karaoke system, but if you don’t have a good speaker system, you will be using the speakers on the system that you purchase, so make sure that they are good. A Clear Display – Since you are going to be reading lyrics off of the display, you are going to need to make sure that it has a resolution that makes it easy to read. If you purchase a system that is designed to be connected to your television, you are likely to have no issues with the display, but some units that have a built-in screen may have a smaller display that is more challenging to read lyrics on. Simply make sure that the lyrics are clear and easy to read on the screen before you commit to the purchase. 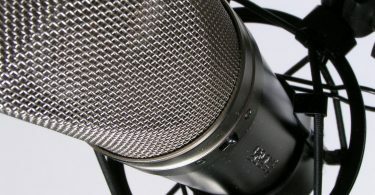 Voice Effects – Many of the karaoke systems that are on the market today have voice effects that can be enabled as you sing. This can help someone who is shy break out of their shell, or it can simply add unique sounds to your voice to make it sound more robotic, give it an echo, or give you a whole other voice entirely. A Portable System – One of the features that you need to consider for your new karaoke system is how portable it is. If you are planning on traveling with it, you will want something that is easy to carry. It will also need to fit in your vehicle, so make sure to take the dimensions of both the karaoke system and your vehicle into account. Akai – This is a brand that makes some of the best audio equipment in the world, and as it turns out, they also create karaoke systems that are some of the best available. There most popular units include mixing capabilities, docking stations, and flashing lights to complete the party. If you are looking for great audio with your karaoke system, consider Akai. Singtrix – This is a brand that is great at creating effects. Their karaoke systems are great overall, but they really shine when you use effects to change your voice during your performance. You can use more traditional voice effects as well like reverb, echo, and delay. Ion Audio – Ion Audio makes more of a PA system than a traditional karaoke system. Many of their products require that you connect an external source to the unit to read the lyrics, but this can be a laptop or something that has a relatively large screen. Singing Machine – If you are looking for a company that has quite a bit of experience making karaoke systems that please singers across all stages, then Sing Machine is your brand. They have been making these machines for decades, and you can get systems that have either a built-in screen or one that is compatible with Bluetooth. Nothing compares to the original karaoke machine, so if you want something more than an app to sing with using the screen of your phone or laptop, then Singing Machine may have a product that you will love. DOK – This is a relatively small company that manufactures karaoke machines. They create a variety of karaoke systems that can fit your needs. They offer portable options as well as more stable options that you can keep in your home, and many of their products come with 300 songs to help you get your library started. First conceptualized and developed by the minds behind the music simulation game Guitar Hero, the Singtrix Party Bundle is a device that I loved testing due to its robust features and effects selection. There’s a reason why this is considered one of the most advanced karaoke systems on the market today: it simply has some excellent built-in tech that can make just about anyone sound great. In fact, just looking at features like its high tech control interface illustrates some of the highly advanced features that Singtrix included in this bundle. Song Voice – This feature drastically reduces the sound levels on existing vocal tracks in the music you’re hearing so that your voice comes out more clearly to your audience. It also allows you to increase the vocal track if you are struggling with a song that you selected to sing. This is an on and off toggle, so you don’t get much level selection. Mic Volume – This activates the “Mic Volume” display on the panel’s screen. Once this is activated, you can use the “Effects” rocker to raise and lower the mic’s volume. Effects – In addition to providing a dial for other features, the effects dial grants access to a wide variety of vocal effects that include voice changers that emulate the sounds of Darth Vader, Frank Sinatra, or Rockabilly. This feature can add a lot of extra laughter to a night of karaoke. Hit Effects/Harmony – This feature allows you to layer in effects when you need them. I found this to be very useful when it came time to sing choruses or complex harmonies that my voice couldn’t quite reach. 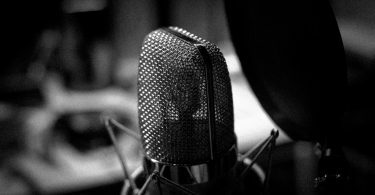 Skill Level – Don’t feel that your voice sounds great? The “Skill Level” button lets you adjust the enhancement so that it covers any rough spots in your singing. This is a feature that is great for a novice. Main Volume – As you might expect, this is how you increase and decrease the Singtrix’s volume levels. In addition to these main features, the Singtrix also has other useful features like an extra microphone jack that will allow you to sing with friends, USB connectivity so that you can interface with a computer, and the ability to pull music from your phone or tablet. Do you like the way auto-tune sounds? This product uses a proprietary technology called HardTune that virtually emulates the effect. The product comes with a 40-watt 2.1 stereo speaker that produces some good sound, and the mic stand that comes with the bundle has a very professional feel to it and can be adjusted to fit your height. The orange faceplate that this product ships with is also replaceable; Singtrix includes black, blue, and pink faceplates if the orange one isn’t quite your thing. The Memorex MKS-SS2 SingStand 2 is a great karaoke system for anyone that just wants to belt out some tunes with friends on a Friday night. This karaoke system looks deceptively simple, but you’d be surprised at all of the settings and features that it does have. The first thing that you might notice is that it looks like a somewhat basic mic stand, but this where the SingStand 2 can fool you – the base of this stand contains a set of five-watt speakers that have a clear audio output for karaoke. These speakers are great for hearing yourself sing, but you can also use them as an external sound source for just about any of your devices via a 3.5mm jack. These types of devices are also well supported by the SingStand 2. For example, once you’re connected, you can rest your smartphone or tablet on the platform up top and choose your musical selection. The various effects are controlled by a panel on the base of the SingStand 2, and if you want to sing a duet, there is a line-in for an additional microphone. Finally, for the musicians out there, you can also hook up a guitar or keyboard to the SingStand 2 and provide a truly varied and entertaining performance for your audience. Even if you don’t play, you can have your musician friend accompany you while you sing. This karaoke system has a design that’s simplistic and easy to manage because it’s effectively a large speaker with karaoke controls. Those looking for portability also may really like the ION Audio Tailgater due to the fact that the device only weighs 16 pounds, has two convenient handles, and also has a 50-hour rechargeable battery. This is a good product for events like weddings and bar mitzvahs where you don’t need an overly complex karaoke machine. 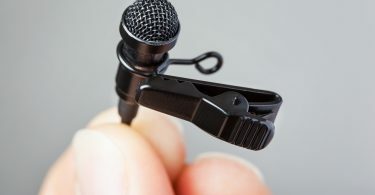 The product can even connect with wireless microphones for extra convenience. During use, the product is very loud and clear and the control panel, which is situated on the leading edge of the device, is very easy to use and even has USB connectivity so that you can charge your smart devices. The device is also Bluetooth compatible, which is very useful when you want to view lyrics on a device screen for the music you’re singing along to. I particularly thought the sound on this product was fairly impressive; it’s definitely a karaoke device that can be used effectively for a plethora of events. One of the first things that you might notice about the Singing Machine Karaoke SML385BTBK is that it has a cool-looking LED display that displays vivid colors as you sing along to your favorite tunes. This feature adds a bit of visual appeal to your karaoke and you can even adjust things like ambiance and the color display. In fact, I find this to be a great product for young children due to the fact that it has Bluetooth audio, which means that you can source anything for your kid’s tunes, even Youtube or Spotify. If you are looking for a machine to take your karaoke show on the road, this product also works well due to the fact that it’s very lightweight. Effects like echo and distortion are easy to use and sing with and there are even autotune-like effects to help your overall performance. When you’re ready for some casual karaoke, you don’t always want to have to carry around a large machine or a mic stand. For this reason, there’s the BONAOK Wireless Karaoke Microphone. This product is fairly simplistic – it’s a wireless Bluetooth mic that fits neatly in your hand and connects wirelessly to your audio system. As a result, there’s no real limit on the sound output because you provide the speakers, but if you don’t have speakers, the device has a fairly impressive onboard speaker system that can project quite well. The product has a battery charge that can last up to 10 hours, which I think makes it particularly valuable as a kid’s karaoke mic because they can sing as long as they want and you can just charge it for them overnight. It is also a great tool for parties, just make sure that it is fully charged beforehand. You can directly play music from your smart device or laptop, but the mic also supports a TF card, which means you can play music directly off the device. It comes in a series of cool-looking colors, which means you can customize the experience to your preferences. Another speaker-based karaoke system, the ION Audio Block Rocker is designed with portable performance in mind. The speaker on this product is very powerful; it has 50 watts of power, which surprised me when I tested it. At full crank, you can expect to hear this speaker clearly from more than 200 feet away. The wheels and telescoping handle are very useful; when you need to transport the system, you can just pull the handle out like you would the handle of a wheeled suitcase. This means that it’s far less inconvenient to carry around than its 25-pound weight would indicate. 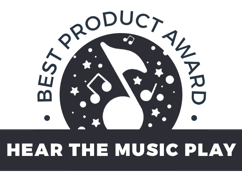 When it comes to performance features, the bass on this product is fairly strong; you’ll get a lot of clarity out of more than a few genres of music like rap and rock. This is also a product that doesn’t need to be plugged in, so taking it to the park for a karaoke fest will be no problem at all. In fact, you’ll even get about 50 hours of performance out of the device. This power can also be used to charge your devices, and these same devices can display lyrics and connect to the speaker via Bluetooth as well. Having options can really help the overall experience of owning a karaoke player, and this product, which comes from Akai, let’s you listen to your music using a variety of sources. These include music stored on optical media like CDs, music stored on a Bluetooth-connected smart device or laptop, music directly played via a line-in jack, or even music that you’ve stored on your favorite key drive. In fact, with the Akai KS800, you can even record your musical performances for later playback. This device has a front-mounted color display that has some decent image capabilities. This display shows the lyrics, so I found the fact that it was fairly clear to be a major plus. When you’re ready to sing with a bud, you can connect a second mic, and you can even plug in a guitar when you want to jam along. This is a good product for portability because it only weighs a little over seven pounds. Teens and younger adults may also love this type of product due to the fact that it has a design that’s best used for smaller rooms and venues, so in-room singing works well with this device. That being said, if you need power, you may want a more complex device. As you can see, the karaoke system that you select will have a big impact on your performance and the way you sound when you sing. 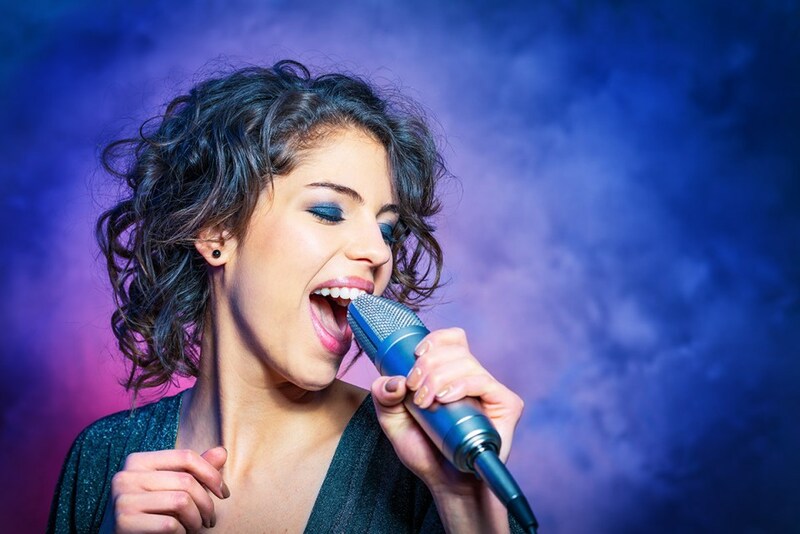 With a good karaoke system, you will be able to amplify the sound without distortion and add effects to your voice to give a unique sound to the song that you are singing. I hope that my research was useful to you during your search for a new karaoke system. Once you sing using a good karaoke system, you will wonder how you ever performed using a lesser device, and you will never use a karaoke app again.